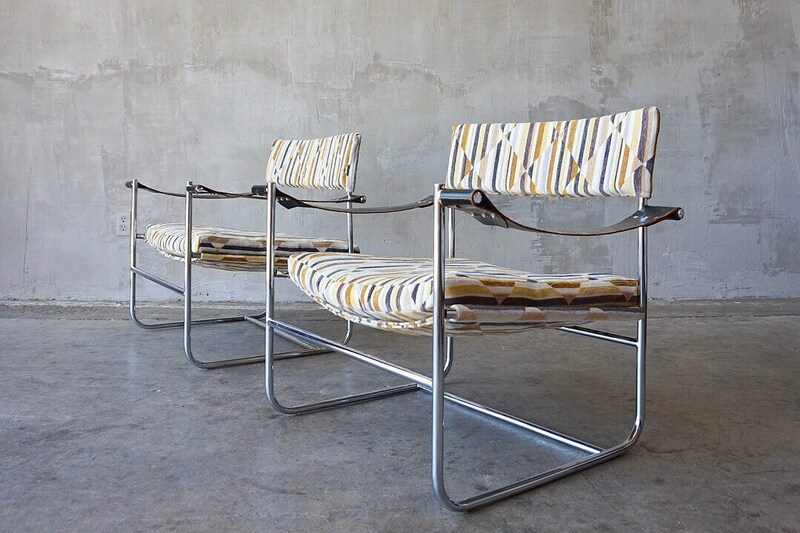 Great pair of tubular chrome, leather and geometric velvet lounge hairs by Milo Baughman for Thayer Coggin, c. 1960s. 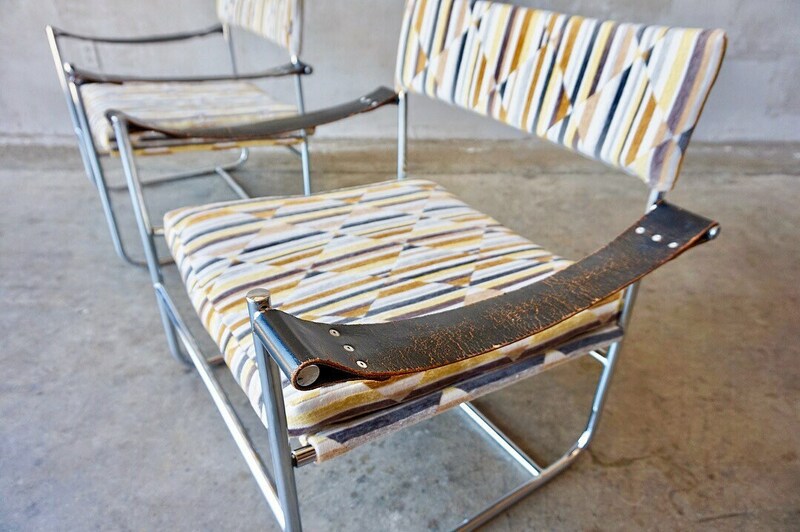 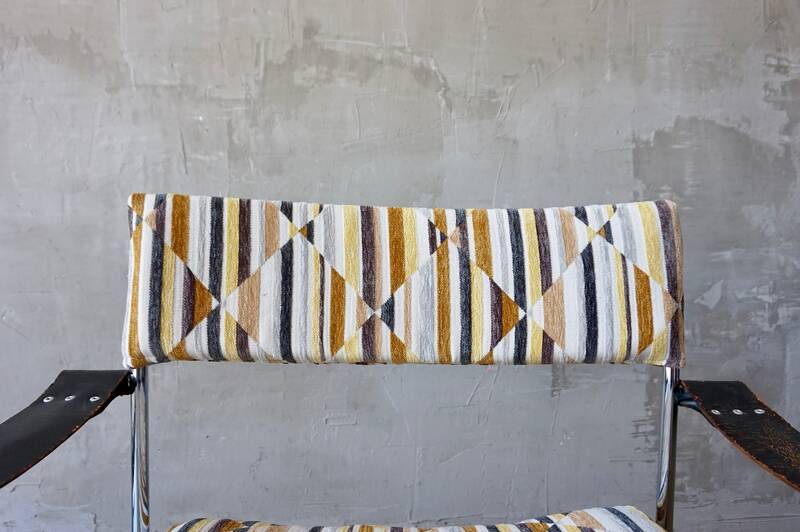 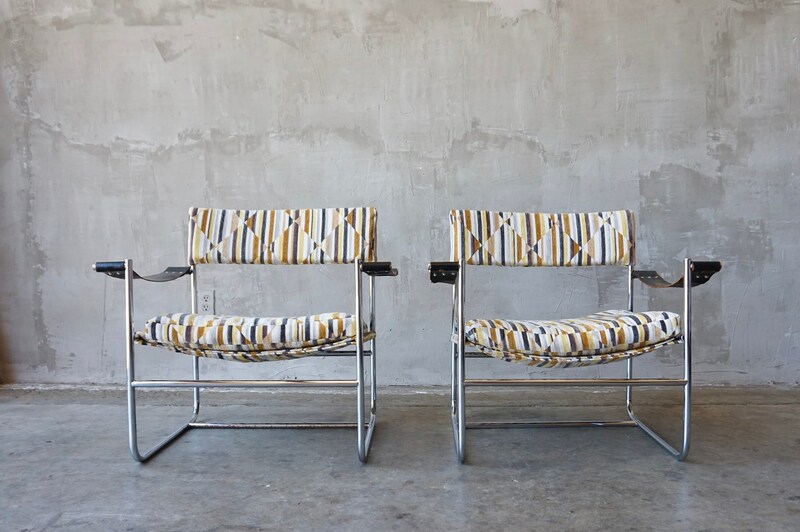 This pair is in excellent condition with perfectly patinated leather arm straps, heavily patterned and textured velvet fabric and bright chrome frames. 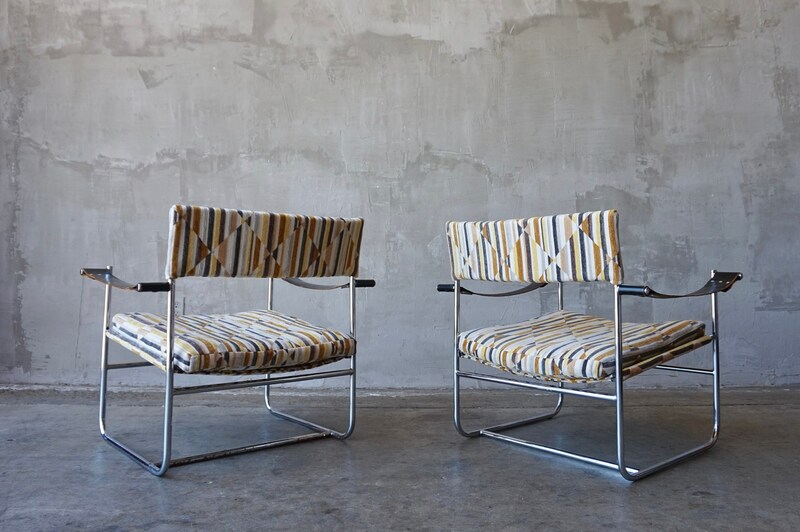 These chairs sit low, and have a comfortable relaxed feel to them perfect for lounging or casual conversation. 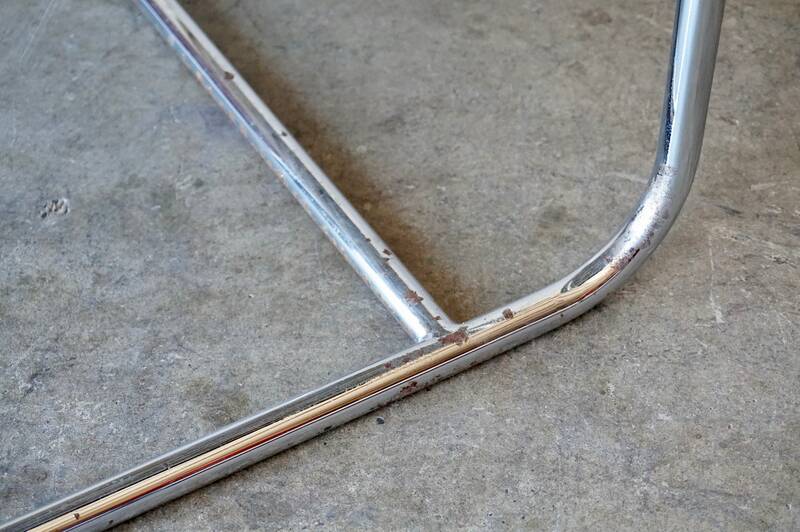 One chair shows wear to bottom of frame, as pictured. 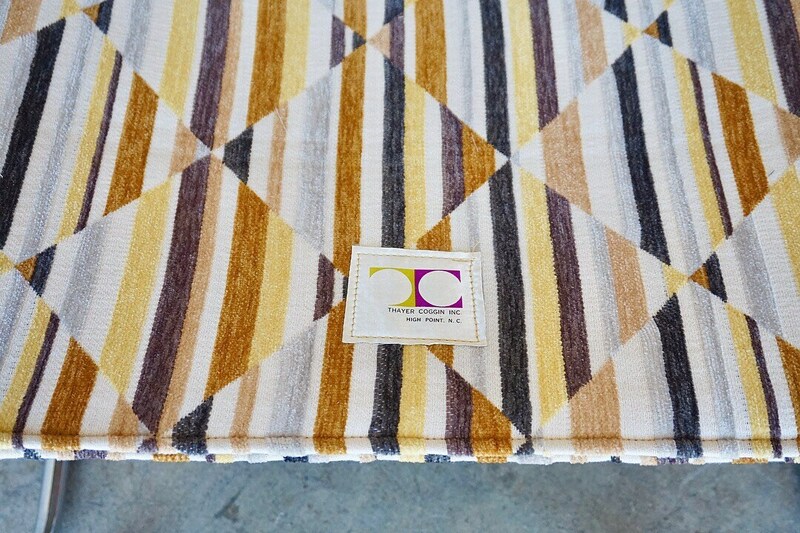 Each measures 31”W x 28”H x 26”D.